International standards specify that all electrical distribution equipment be tested before connection to the supply system. To meet this requirement, O'Hara Engineering Services Ltd uses a variety of equipment. 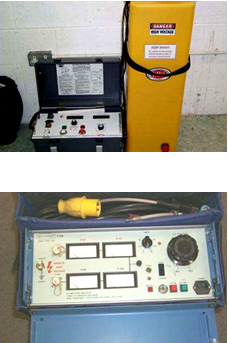 30 kV Power Frequency Test Set is a high powered, high voltage AC test system designed for insulation testing. This system is equally suited to both development and routine testing of electrical insulation systems and plant. 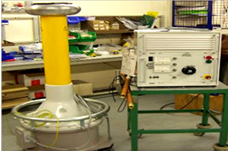 110 kV Power Frequency Test Set is a high voltage AC test system designed for insulation testing. This system is suitable for routine testing of electrical Medium and High voltage Switchgear and Plant, where high A.C. test voltages are required. ​D.C. 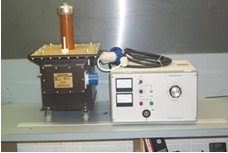 High Voltage TestingThe Biddle 160Kv D.C. Test Set provides a portable High Voltage source for testing Cable, Switchgear, Insulators, Capacitors, and Transformers etc. The Unit is suitable for Proof Testing, Step Voltage Testing and, as the unit has micro ampere sensitivity, to test Insulation Resistance.